When it comes to bringing life to dull interiors, Home Makers Interior Designers & Decorators Pvt. Ltd. does the work. 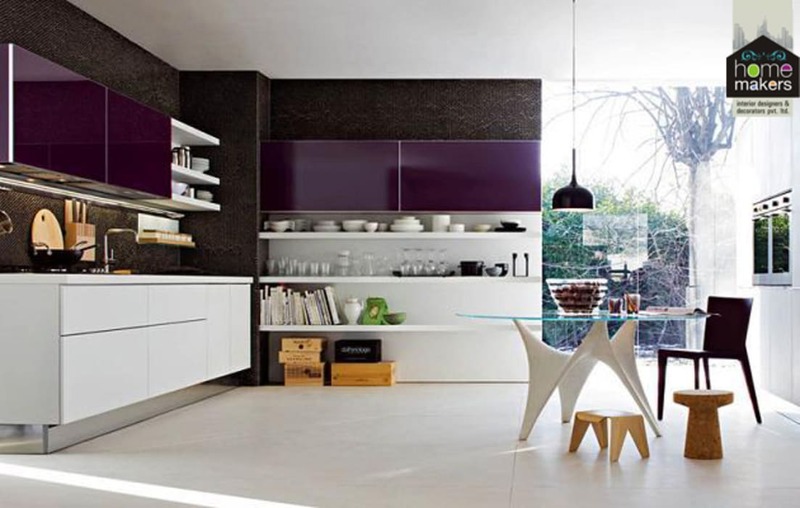 A lovely kitchen brought to life with a splash of purple colour, which signifies feminity and royalty. This is a modular kitchen completely interior designed by Team Home Makers. We also used quirky shape for the table and the purple you see is back-painted mirror finish glass. Some earthy tones are thrown here and there! !